For those of you who may bot have heard, the President has declared January National Slavery and Human Trafficking Prevention Month. 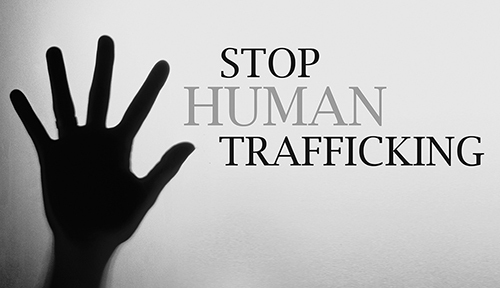 In that vein, Local News 8 in Idaho Falls, Idaho, published a story about Human Trafficking Awareness Month with a local outreach program known as Operation Shield. The article goes on to detail about how you can protect your children from human traffickers, and we’ll get to that in a moment, but we should also look at one of the misconceptions about human trafficking that many people have. Human trafficking is not just a big city, or inner city issue. It affects every ethnicity and financial designation. Victims can be from the biggest cities in the nation to the smallest towns in Middle America. Due to the influence of social media and sites like Backpage and craigslist human trafficking has become an issue that we all need to be aware of, and yes, it’s even happening near where you live. Now, getting back to the tips on keeping your children safe, the article linked to has some great tips such as keeping track of your children’s online activity and making sure they don’t have any social media friends they’ve never met in real life. One tip that wasn’t mentioned that is known trick of human traffickers is the modeling or talent scam. Many times traffickers will pose as modeling or talent agents telling teenagers they can make a lot of money modeling or singing. Too many victims have been lured into trafficking with the promises of money and fame only to be turned out on to the streets and Backpage by violent pimps and traffickers. Please educate your children to be aware of anyone who may approach them with promises of money as one of those things that are way too good to be true.